As I am flying back from my training course with Mark Divine and his crew in Encinitas, California, a big smile is on my face and a deep peace in my mind. I trained with Mark privately last summer and enrolled this year in his rigorous 200 hours Kokoro Yoga teacher training program. Mark also invited me to conduct a TaKeTiNa workshop with his crew of Seals and special operators. Mark is an incredibly inspiring man. 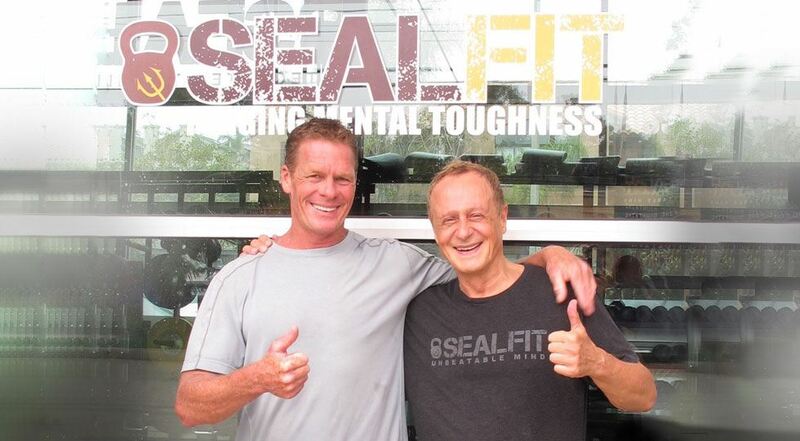 After his career as a legendary NavySeal commander, he developed the “Sealift” and “Unbeatable mind” methods as spiritual paths for the ordinary person wanting to ignite the ‘divine warrior heart’ and forge mental toughness. His 20x training and Kokoro camps have been inspirational for many athletes and leaders across many fields. Here you can see his programs: www.sealfit.com. The pinnacle of these methods is Kokoro Yoga, a new form of yoga that combines deep states of meditation and pranayama exercises which allow you to stay in a state of ‘non-breathing’ for extended times. It utilizes the core principals of a martial art and the highly rigorous sealift training methods. The training covers deep reflections on the Patanjalis Yoga-Sutras and the study of the eight limbs of Yoga as well as extreme physical challenges which bring out a deep flow of vitality and sweat eg. the 108 Sun salutation / 100 burpee challenge. It offers a new breathing system through various pranayama exercises and inner visualizations, all intended to still the mind and forge mental toughness. Training alongside instructors who embody great physical power with complete emotional control and a truly unbeatable mind was highly inspiring and manifested a new “norm” in my daily life. It also turned out, that the long TaKeTiNa journeys we went on were just as challenging for these warriors. Walking through stretches of chaos is not new to Seals and warriors, but rhythm seems to be so deeply anchored in our system that losing it, provokes a deep primal reaction that needs to be met with the unbeatable mind and total stillness. The TaKeTiNa sessions left the participants, just as my training with Mark did, in awe. Sitting over dinner we decided that we want to offer in the near future, a system that merges the qualities and learning tools of Kokoro Yoga and TaKeTiNa for the general public. We are planning on a 48 hours TaKeTiNa-Kokoro challenge in 2018/2019 in Germany and a nature event in central Australia in 2019. If you are interested send us a mail to be kept informed of developments. „Kokoro“ is a Japanese term, that means: “Igniting the Divine Heart of the Warrior”. This divine Warrior heart does not engage in outer battles, it rather fights the demons within, in order to forge resilience, discipline for practice, responsibility and passion in serving other fellow humans.